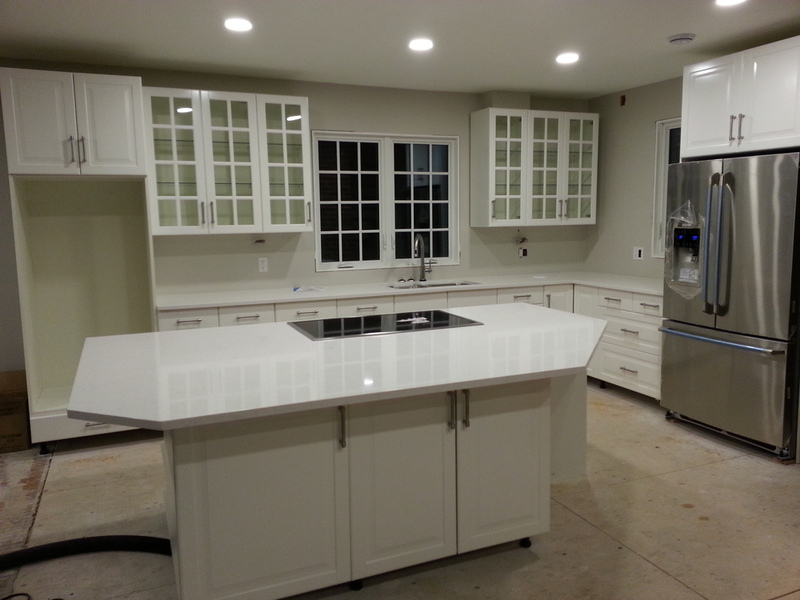 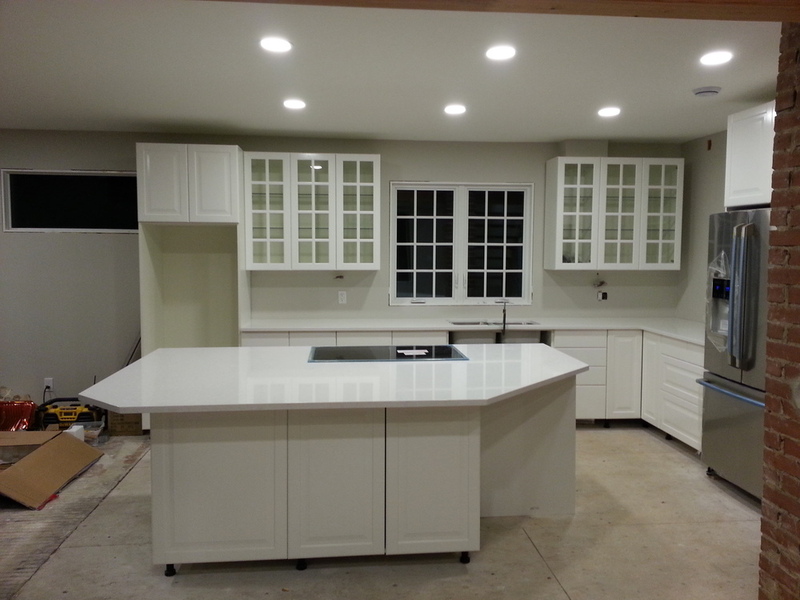 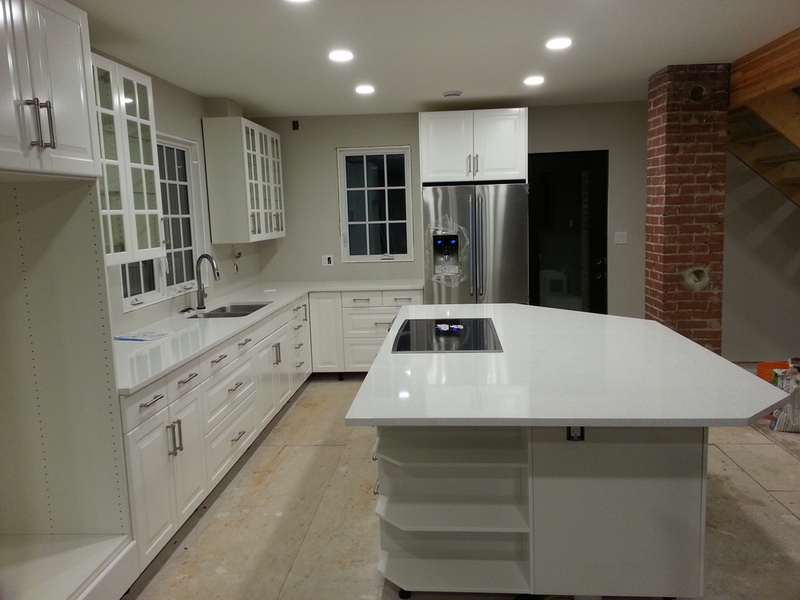 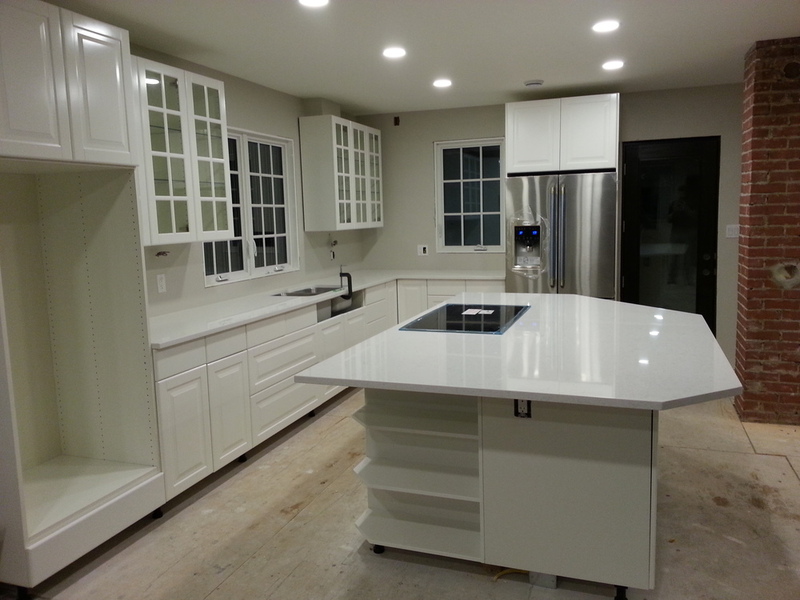 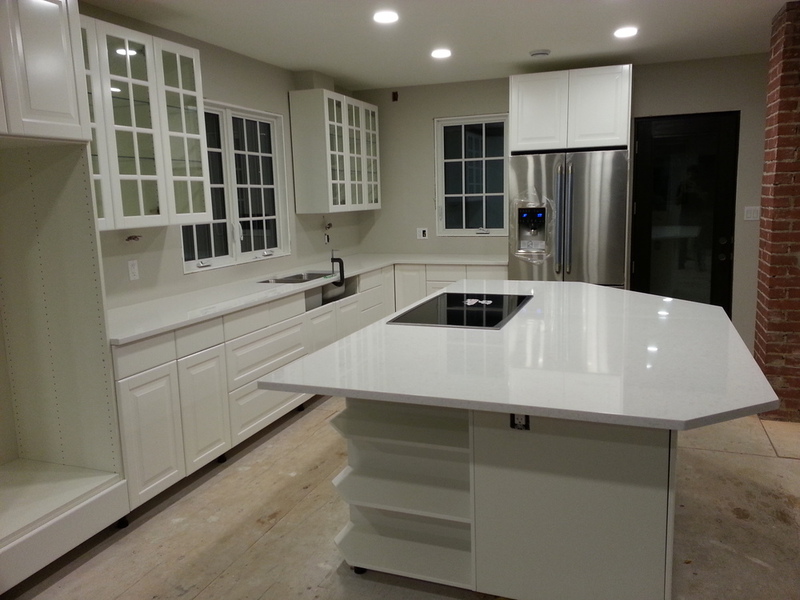 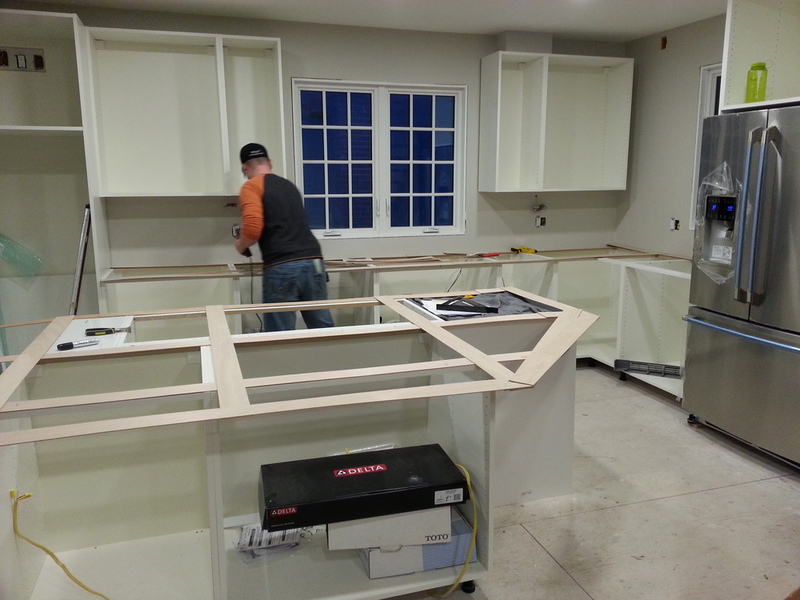 WIR-42-Countertops — ReNü Engineering Inc.
With the kitchen prepped for counter tops, we ordered 'Iceberg' quartz counters through DirectBuy, which were templated and then installed 2 weeks later. 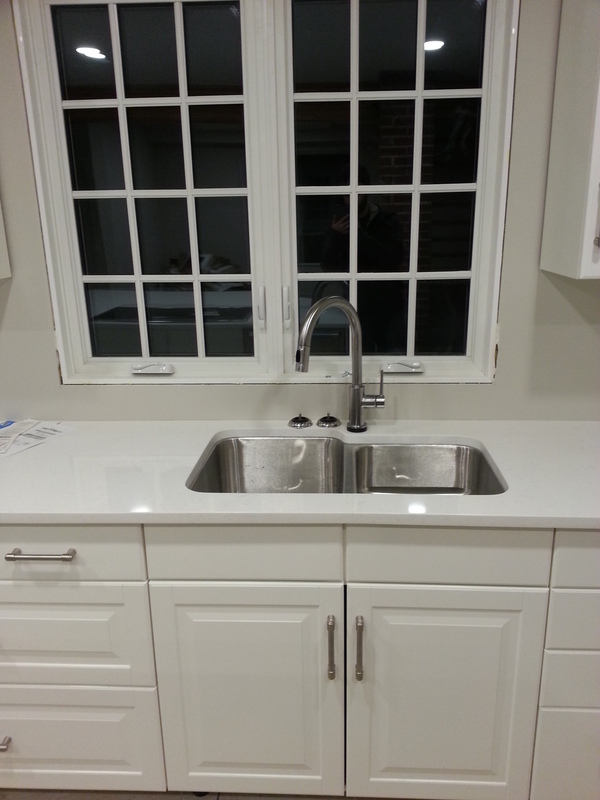 Sink plumbing, induction cook-top wiring, and dishwasher connection followed, and all are now functional. 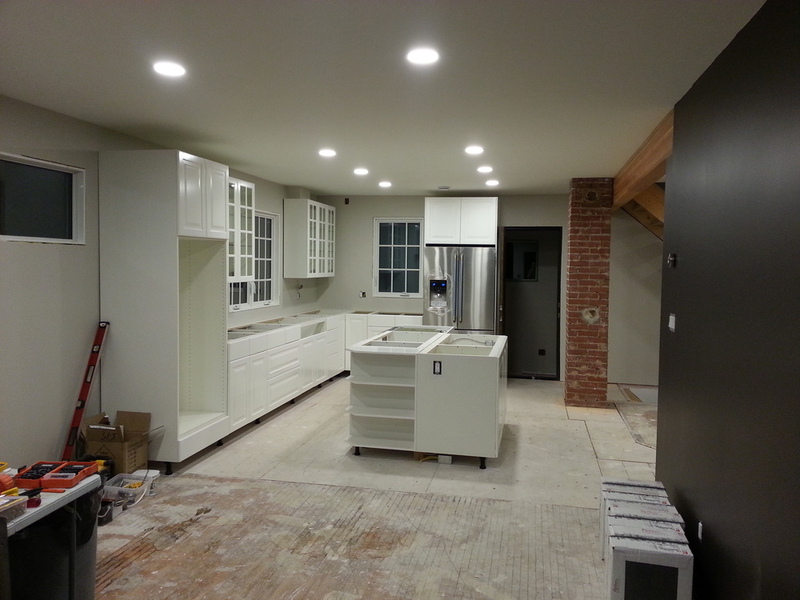 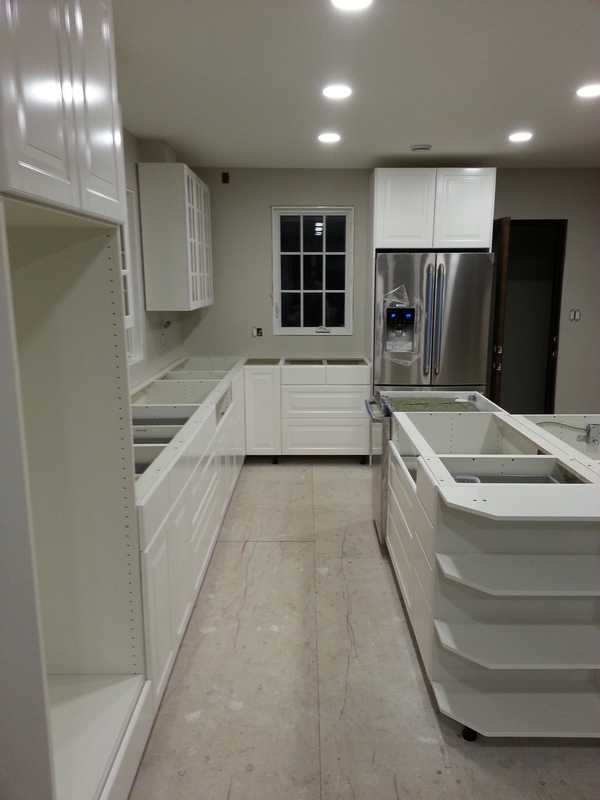 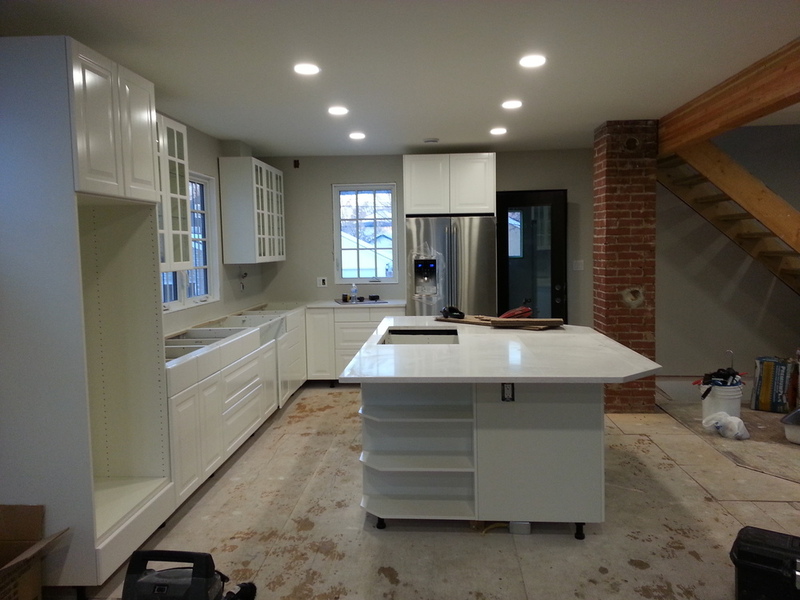 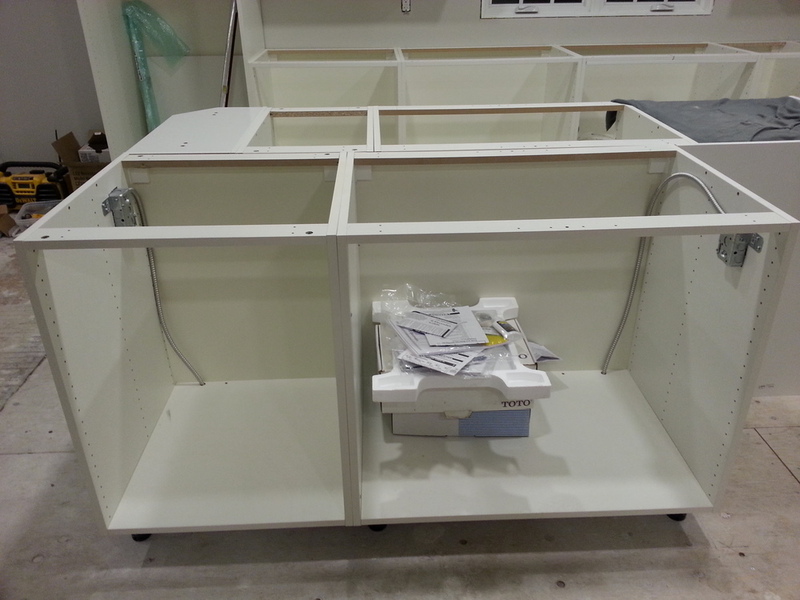 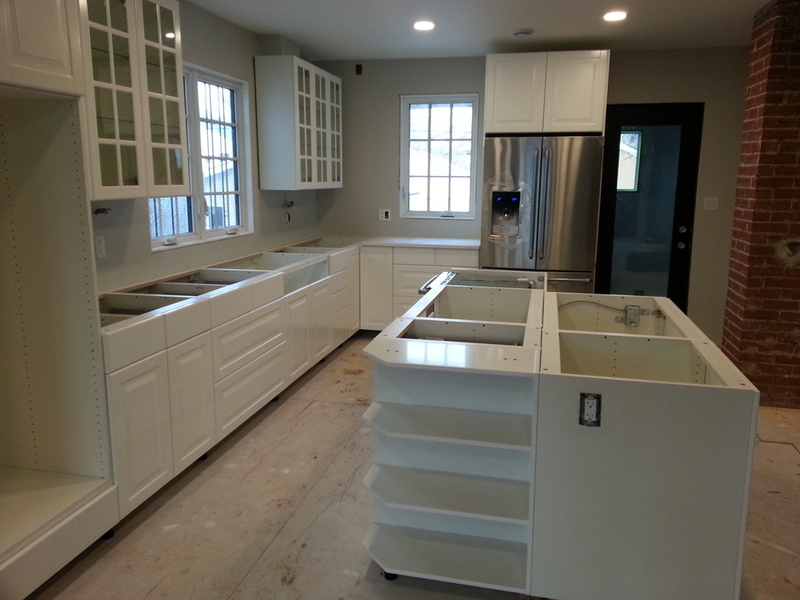 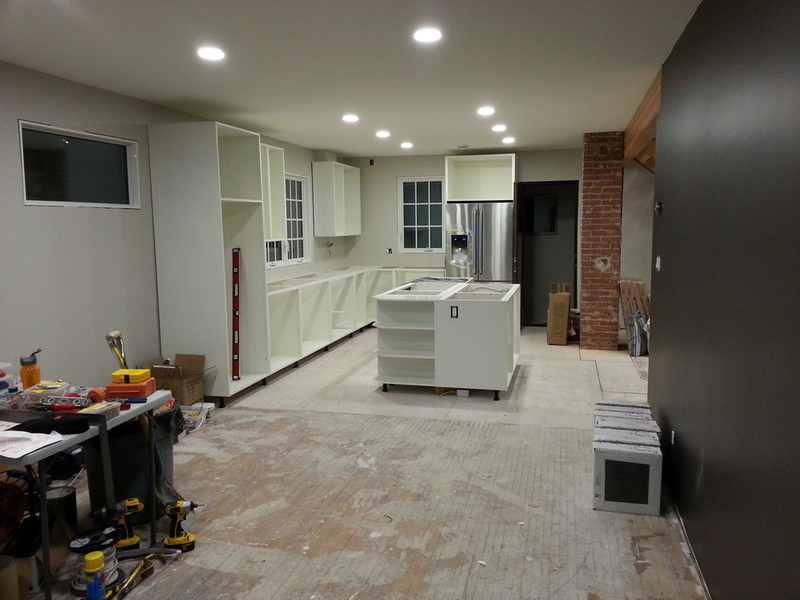 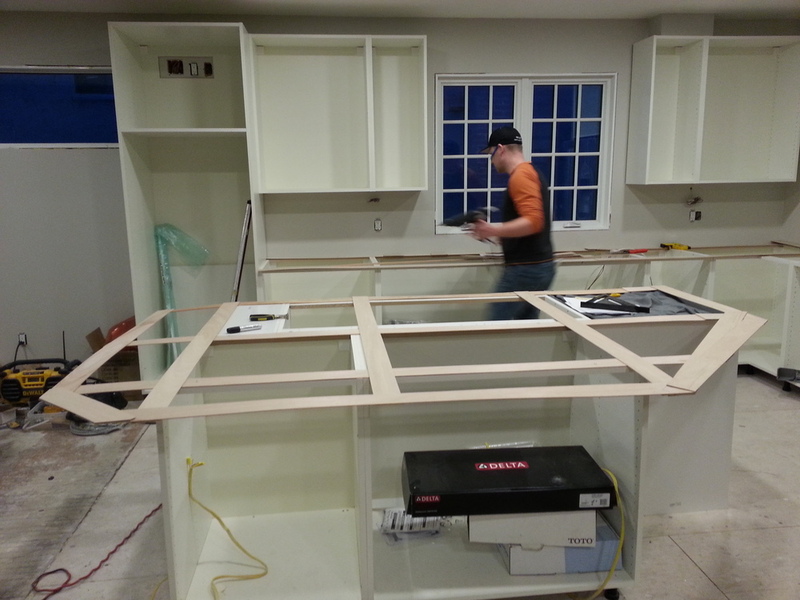 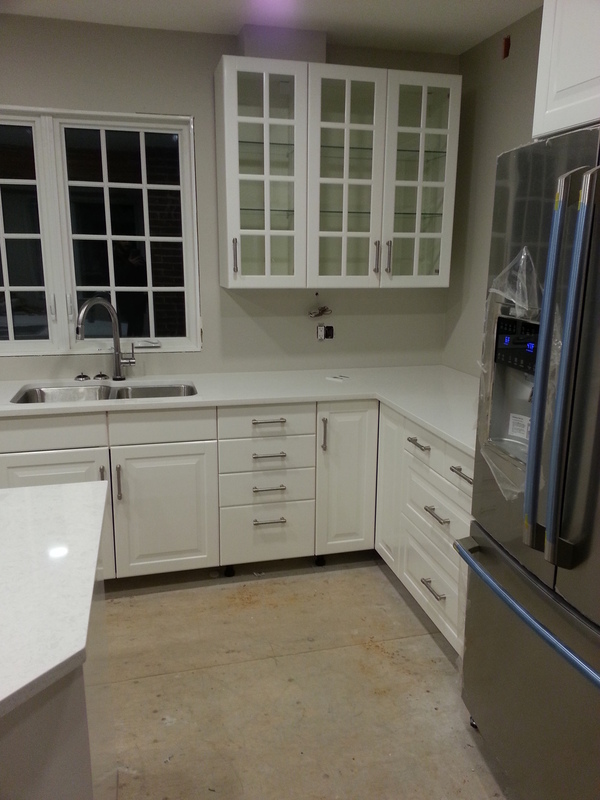 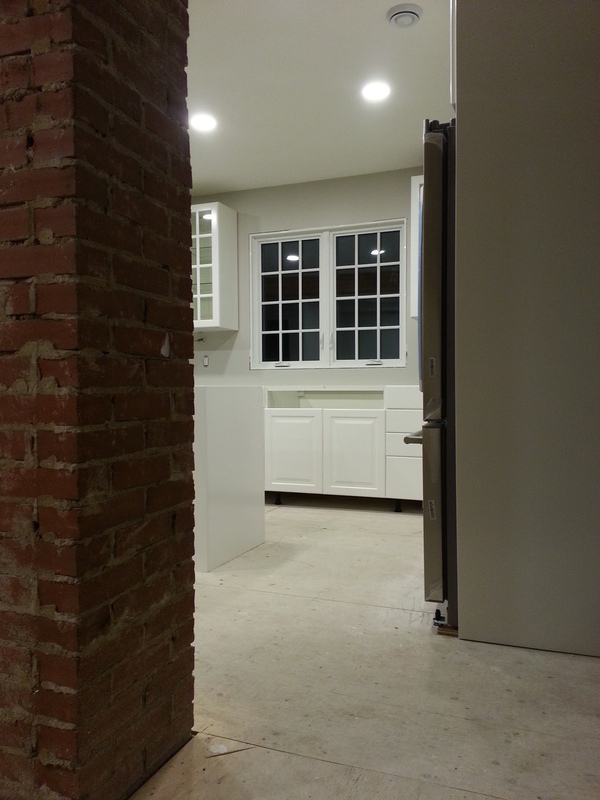 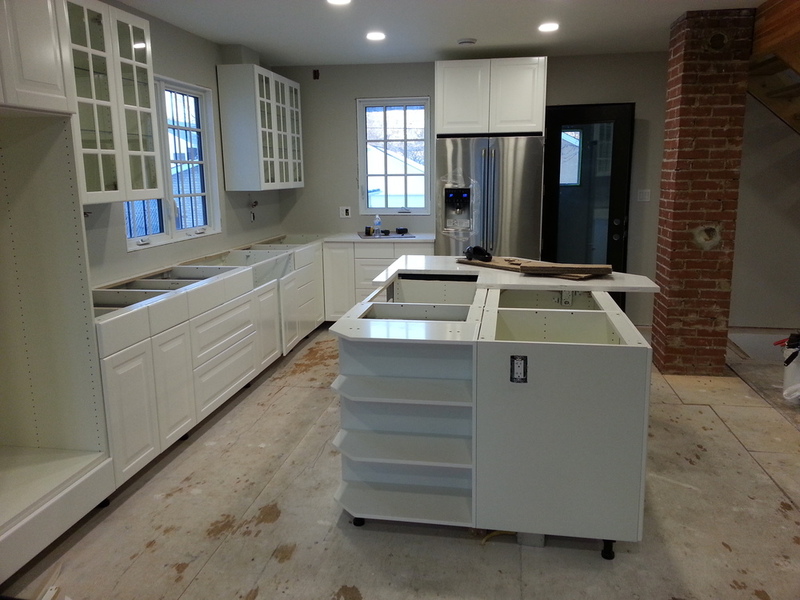 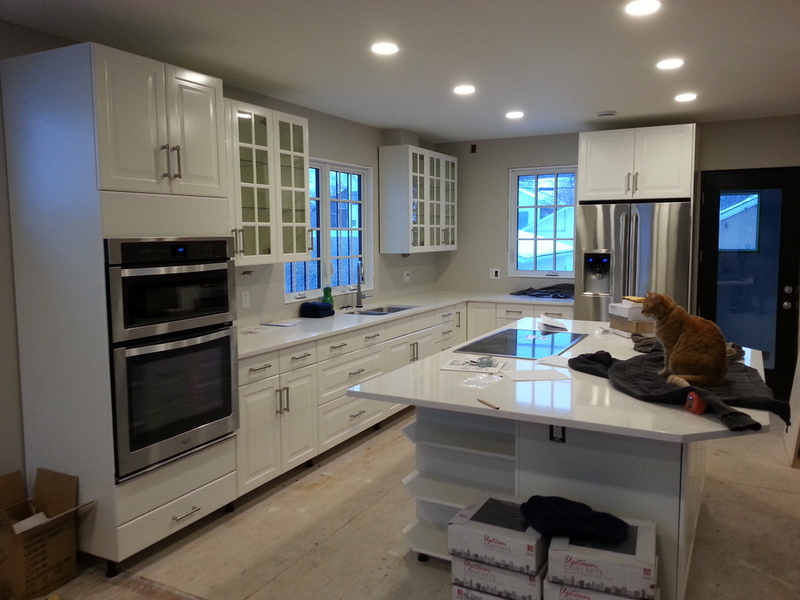 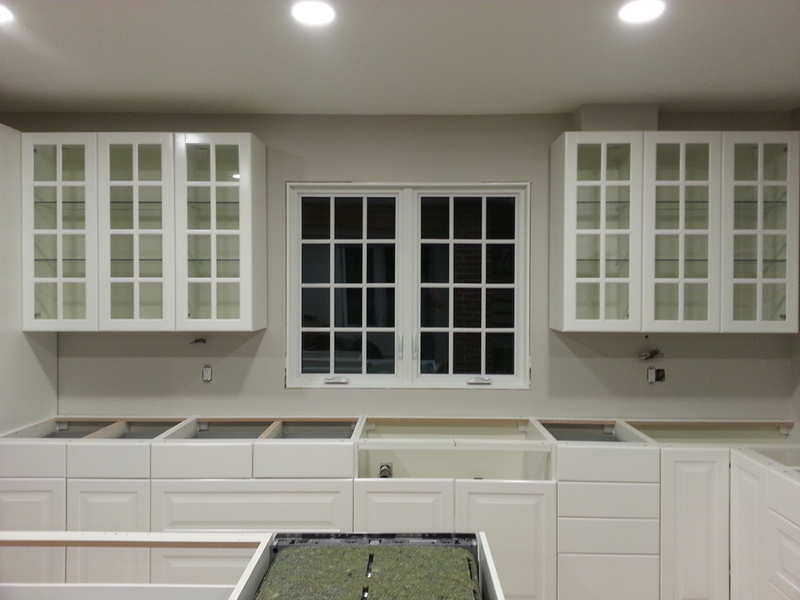 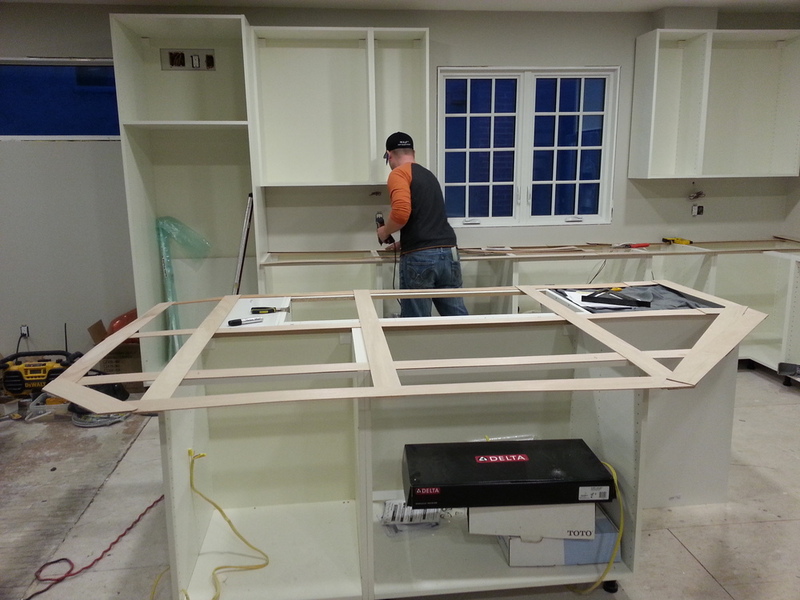 With cabinet innards, doors, and handles installed, we have a fully functional kitchen (less oven)!